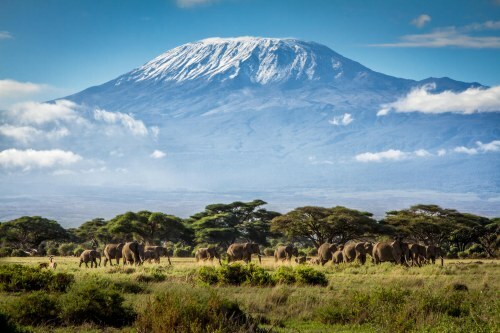 Turkish Airlines has dropped the price of some of their flights from Toronto to Kilimanjaro, Tanzania down to $912 CAD roundtrip including taxes. Toronto to Dar Es Salaam, Tanzania (DAR) is also available, for the same price. You can also find flights from Toronto to Addis Ababa, Ethiopia (ADD) on similar dates, for $860 CAD roundtrip including taxes. Stay within the range of mid January to mid April, 2017. 4. Click through from Momondo.ca to the booking site showing the cheap flight price. You may want to try GoToGate. toronto, yyz, flight deals, africa, eastern africa, northern africa, turkish airlines, kilimanjaro, tanzania, jro, dar es salaam, dar, addis ababa, ethiopia and add. One Response to "Toronto to Kilimanjaro, Tanzania - $912 CAD roundtrip including taxes | Ethiopia for $860"
So glad to see deals to Africa. I hope to see them more often. I went to Tanzania for 5 weeks last year, and it was the best vacation ever.